Etty, on the right, teaching a Persian cooking class to some area housewives in Providence, Rhode Island. When they did, they were rewarded with a Persian feast prepared by Etty. Her recipes came with her from Iran in the early 1960s when Yusef accepted a post as a resident at a Jewish hospital in Providence, Rhode Island. For Passover, Etty would prepare two rice dishes. One year, there might be rice dotted with candied orange peel and almonds, or grains mixed with raisins and lentils, or loaded with herbs, or sour cherries. The rices accompanied khoresht, or Persian stews. And, there was also a large salad and roasted vegetables, Allegra says. One of the constants, year to year, was Etty’s Persian charoset made with pear, apple, banana, dates and a mix of nuts that includes walnuts, pecans, and pistachios. 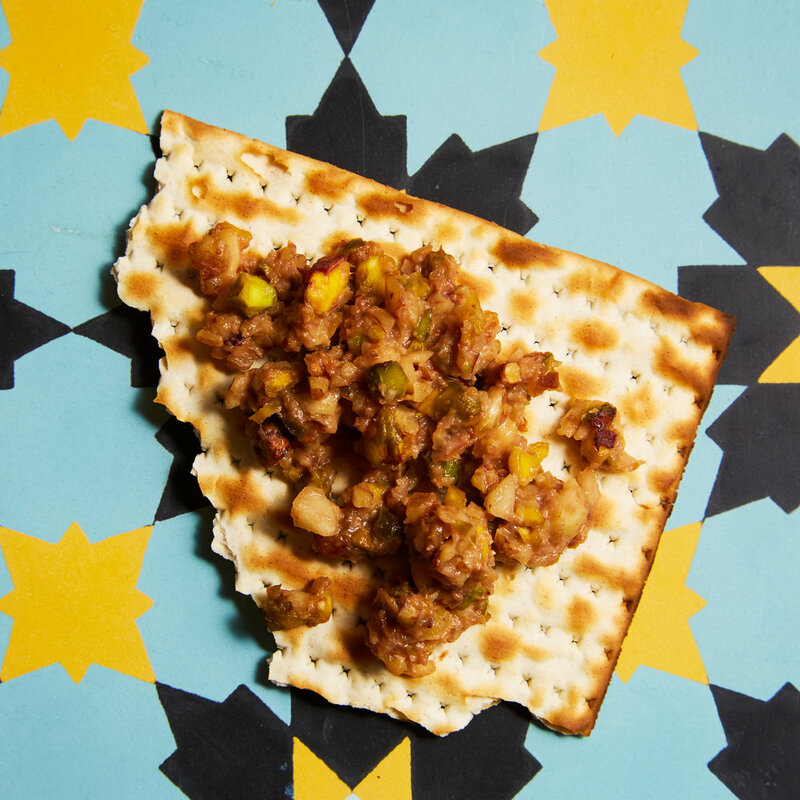 The morning after Seder, it was served over a piece of matzo her grandmother would run under warm water — "wet" matzo, as the family calls it, became a tradition. 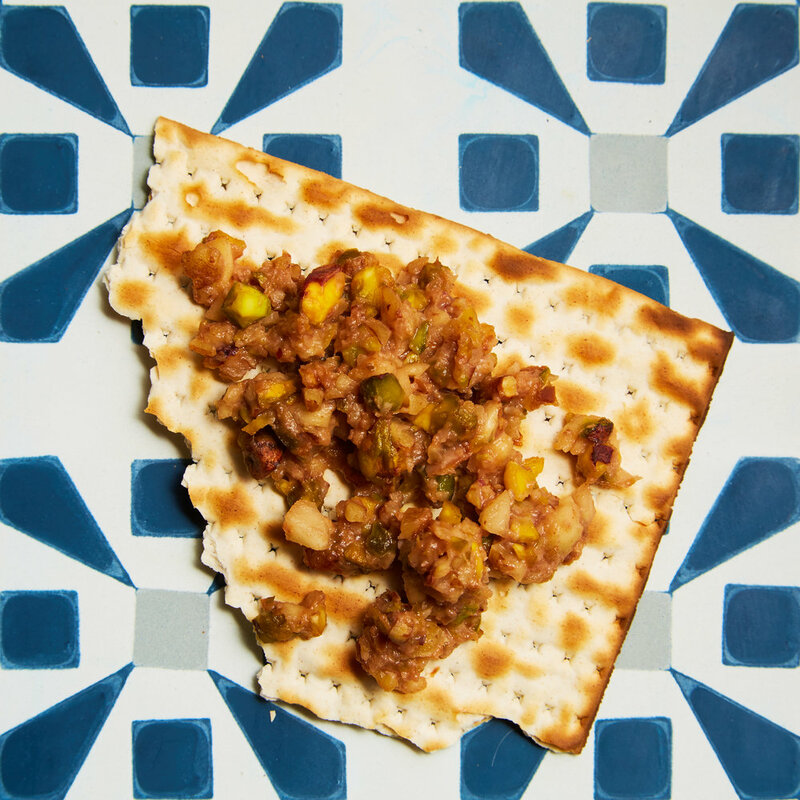 Allegra had never seen Ashkenazi charoset, made with apples, walnuts and sweet wine until she spent Passover with her husband’s family. She remembers thinking: “What is this? It’s crunchy and tastes like wine…. [it’s] boozy fruit salad.” It doesn’t fit with the idea that charoset represents the mortar used to lay stones in Egypt. “Not to get into the Ashkenazi/Sephardi food debate,” she jokes. Passover Seders haven’t been the same since Allegra’s grandfather passed away. Cousins who live in New York City would gather but “we haven’t had a big family Seder in a long time,” Allegra explains. Today, she lives in Mexico City, where her husband is stationed as a reporter. Last year, they hosted Seder for the first time, combining his Ashkenazi family traditions and her Persian ones. Gefilte fish with beet horseradish appeared in the same meal as khoresht made with tomatoes, green beans, eggplant, chicken, and sour dried lime. And Ashkenazi charoset sat next to Allegra’s family recipe. To learn the recipe, she called Etty and then reached out to her aunt to double check the ingredients. Allegra didn’t press for quantities, though. “It doesn’t work that way in our family,” she says. She worked it out on her own, so it could be part of the table — and shared it with us below. With the celebration in Mexico, Seder took on a new meaning for her. 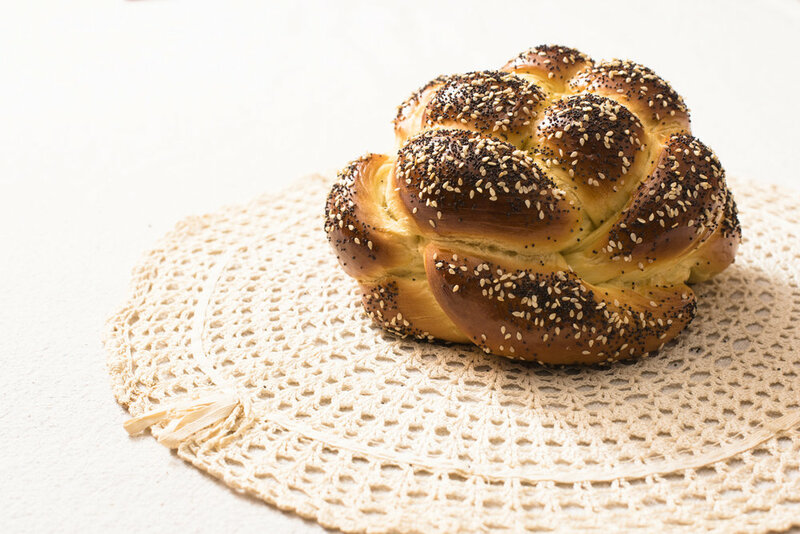 “I think Jewish holidays are especially nostalgic as an expat in a place with a Jewish community as small as Mexico City's,” Allegra explains. Looking back on the long Seders of her childhood, she misses them. “It’s the way I want our family Seders to be,” she adds. Well, eventually. 1. Coarsely chop walnuts, pecans, pistachios and dates together (or pulse briefly in food processor). 2. Add pear, apple and banana and coarsely chop (or pulse, if using food processor), taking care not to turn into a puree. 3. Place the mixture in a large bowl and stir in the wine a few tablespoons at a time (or pulse, if using food processor), tasting as you go, to make a thick, coarse paste that still maintains some crunch. 4. Store in an airtight container for up to a week in the fridge.